Reports say the dreaded Islamic sect, Boko Haram, has offered a ceasefire giving certain conditions for its workability. The group was said to have demanded that the federal government arrests the former governor of Borno State, Senator Ali Modu Sheriff. Ali Modu Sheriff is also reported to be on the police watch-list according to statements credited to the Inspector General of Police, Mohammed Abubakar recently. Online reports claim the sect suggested that General Mohammad Buhari (rtd. ), former military president of Nigeria, should act as a mediator between itself and the federal government to dialogue on ways to end the violence. It is, however, not clear if Buhari had been contacted by the sect last night — or if the sect had even conveyed its demand to the federal government. The news of the ceasefire was reportedly released to newsmen by Abu Mohammed Ibn Abdulaziz, through a tele-conference message in Maiduguri, the Borno State capital. Mohammed Ibn Abdulaziz is believed to be one of the sect’s leaders. 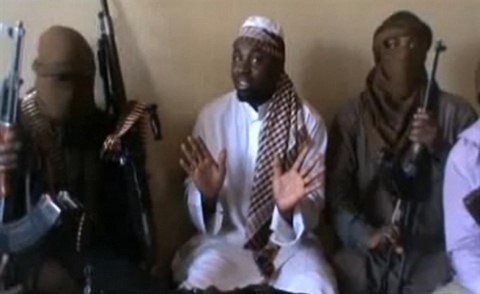 Usually, such reports are broadcast through YouTube by the presumed leader of the sect, Shekau. But yesterday’s report indicated that the sect was willing to meet with the federal government’s delegation in Saudi Arabia, adding that ex-Yobe State governor and now senator, Bukar Abba Ibrahim, first Nigerian minister of petroleum, octogenarian Shettima Ali Monguno, chairman of the presidential committee on insecurity in the northeast, Amb Gaji Gatimari and other prominent members of the Borno Emirate would be part of the negotiation. The federal government yesterday said it will welcome the reported ceasefire offer with open arms if it is considered to be sincere. Presidential spokesman, Reuben Abati, who spoke with reporters over th reported ceasefire announcement said, “Yes, I have seen the story in which the Boko Haram is reportedly declaring a ceasefire and the opening of dialogue. I think it is important to restate the position of government in this matter. “The federal government is committed to peace and security for the benefit of all Nigerians. If what the proposed ceasefire is intended to achieve are the objectives of peace and security, then it is a welcome development. Don’t forget that President Jonathan had made it clear that if the people behind Boko Haram are ready to come forward, and table their grievances, then government will be willing to listen to those grievances,” he said. He pointed out the past efforts made by the government to bring the group to the dialogue table saying, “There have been attempts before now, by concerned persons to reach out to the Boko Haram through back channels, in response to government’s call that all efforts should be made to resolve the problem. A few high profile attempts at a ceasefire in the past had foundered on suspicion and mutual distrust. May God helps nigeria amen. Please do not bring Buhari's name into your sickness.